Robertas Bunevicius, M.D., Ph.D., D.Sc. Dr. Robertas Bunevicius is a physician and researcher specialized in psychiatry, endocrinology, and psychophysiology. 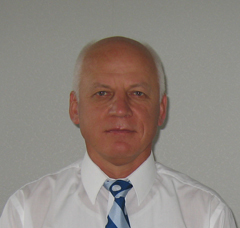 He received a superior clinical and research training in Lithuania, Russia and the USA. Dr. Bunevicius received his MD degree from the Kaunas University of Medicine in Kaunas, Lithuania; Ph.D. degree from Research Endocrinology Center of the Academy of Sciences of Russia, in Moscow, Russia; and Doctor Habilitus (Doctor of Science) degree from the Kaunas University of Medicine. He has completed a research fellowship at the University of North Carolina at Chapel Hill, USA. Dr. Bunevicius has demonstrated that blunted thyrotropin response to thyrotropin-releasing hormone (TRH) stimulation in depressed patients is much more likely to occur when depression is comorbid with panic disorder. This was a large step in the direction of sorting out the differences between anxiety and mood disorders. Dr. Bunevicius has shown that TRH administration exerts a prompt, brief beneficial effect on the mood of depressed patients, opening new directions for the development of new psychopharmacological remedies to treat depression. Dr. Bunevicius has contributed to the studies of prolactin and growth hormone secretion in patients with mood disorders. The research group of Dr. Bunevicius published a number of papers that have demonstrated that mental function of hypothyroid patients is improved when they are treated not with thyroxine alone, but rather with a regimen that includes the administration of triiodothyronine. Dr. Bunevicius’ research team has published a series of papers on depression during pregnancy. The papers of the research group led by Dr. Bunevicius have been published in leading international medical journals such as The New England Journal of Medicine, Biological Psychiatry and International Journal of Neuropsychopharmacology. Dr. Bunevicius has organized multiple national and international scientific meetings, delivered lectures and reports as invited speaker at many conferences all over the world. Dr. Bunevicius was a member of the Lithuanian National Committee that evaluated the misuse of psychiatry in Lithuania during soviet times. He felt an immediate need to change the diagnostic system and clinical management of mental disorders in Lithuania. A group of psychiatrists led by Dr. Bunevicius has translated into Lithuanian and published major psychiatric textbooks including the Diagnostic and Statistical manual of Psychiatric Disorders (DSM-III-R) of the American Psychiatric Association (1993), “WHO ICD-10 Clinical Descriptions and Diagnostic Guidelines” (1997), “ICD-10 Textbook for General Practitioners” (1999). He has made a significant contribution to the Lithuanian Textbook of Psychiatry as well as for the development of multiple diagnostic and therapeutic methods in modern psychiatry. Dr. Bunevicius is the recipient of multiple awards including the Award of the European College of Neuropsychopharmacology (Venice, Italy, 1995), Fulbright Award (Washingtin, D.C, 1997), Prize of the World Federation of Societies of Biological Psychiatry (Florence, Italy, 1999), and Award of the International Society of Psychoneuroendocrinology (Montreal, Canada, 2005). Currently Dr. Bunevicius is the Director of the Institute of Psychophysiology and Rehabilitation of the Kaunas University of Medicine in Palanga, Lithuania and Professor of Psychiatry at the Department of Psychiatry, Kaunas University of Medicine. He is also the President of the Lithuanian Society of Biological psychiatry, a Vice-President of the World Federation of Societies of Biological Psychiatry (WFSBP), a member of the Executive Committee of the International Neuropsychiatric Association (INA), and a Regional Editor of The World Journal of Biological Psychiatry. Dr. Robertas Bunevicius passed away on April 11, 2014.